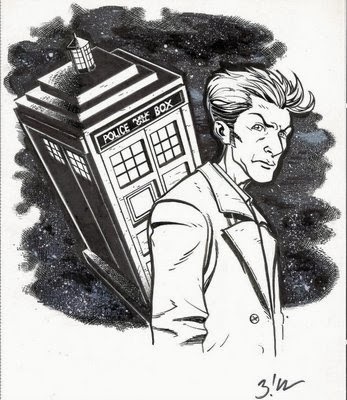 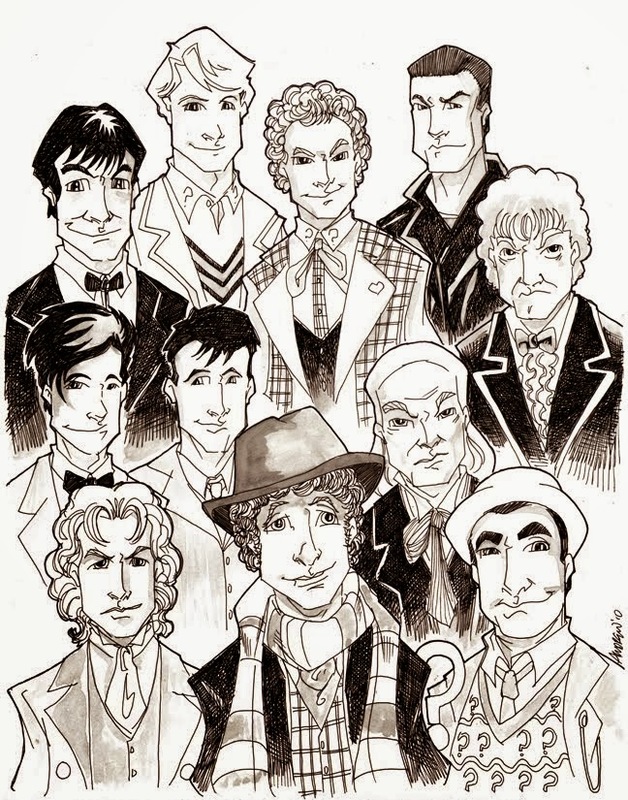 Today (November 23rd, 2013) is the 50th anniversary of Doctor Who, there have been 11 Doctors (officially), and I happen to have a total of 11 Doctor Who sketches I've picked up over the years. 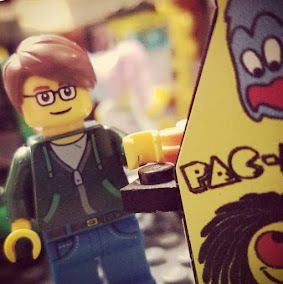 Most of these have been the subject of Pretty Sketchy posts before, but the first 3 are ones I've gotten in the last few months. 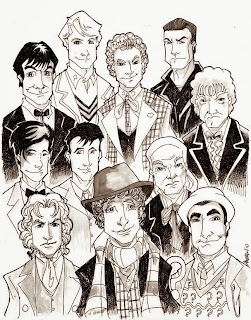 Click on any image to TARDIS-interior size it, of course. Picked this up at Rhode Island Comic Con a few weeks back. 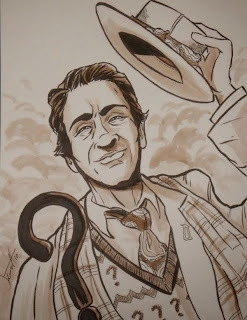 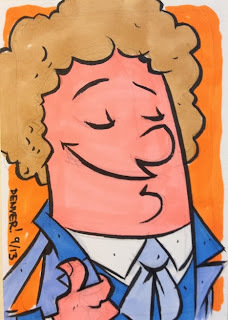 I've admired Sara's art for a few years now and was happy to finally get a piece from her, and given her mastery of awesomely funky wavy line work, I figured the 4th Doctor would be a slam dunk for her (that she's also a giant Whovian didn't hurt, either). 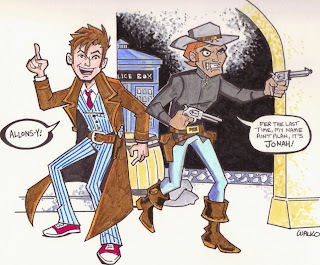 I got this 10th Doctor/Jonah Hex team-up from Bill at this year's Boston Comic Con. 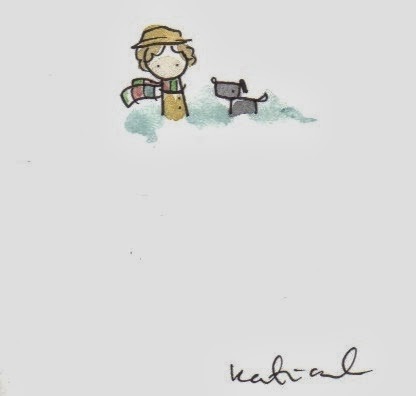 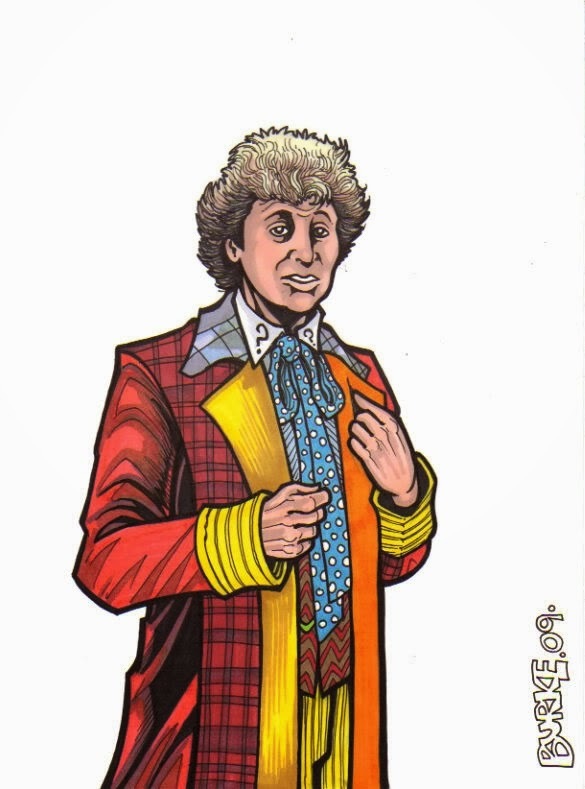 I was going to commission a sketch from him but then found this in his portfolio and, obviously, had to have it. 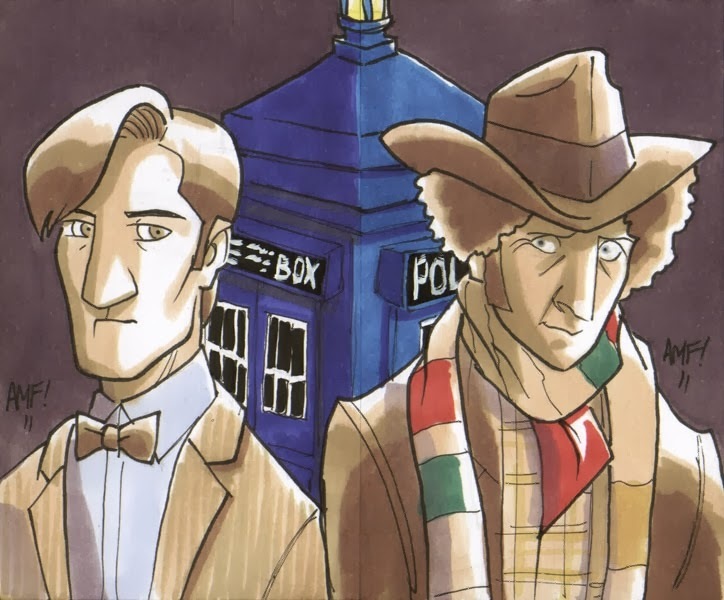 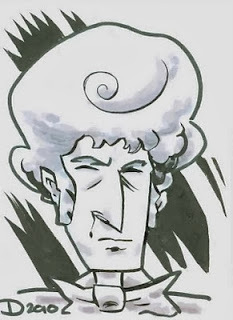 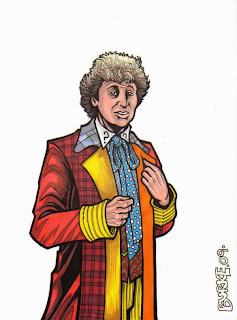 Commissioned this sketchcard of the 6th Doctor in the blue "Real Time" version of his infamous outfit from Denver via his website. 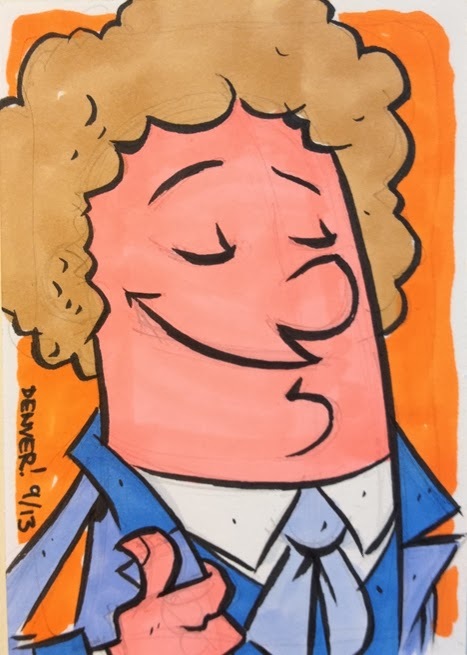 You should do so, too!